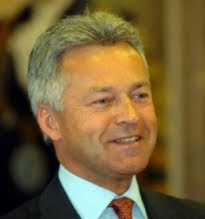 Alan Duncan lashed out at the celebs who criticised his party for their connection to the Polish Law and Justice Party. “It’s just absurd and misleading of these people to suggest that our grouping in the European Parliament in any way endorses or encourages these views. “These celebrities should really have known better than to make such stark accusations – and I rather resent this attempt to attach guilt to us in the way they have. Good to know about this. Thanks for this post!